A black abstract within a white one. In design, all sides are identical. 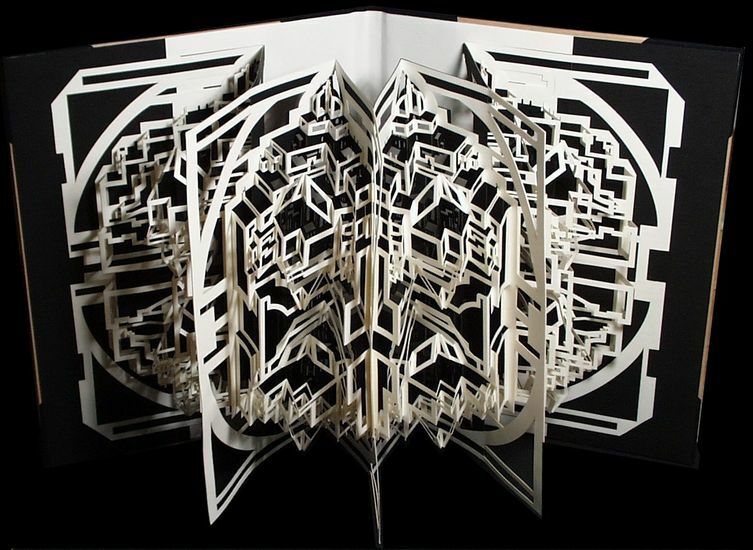 Each abstract is cut and folded out of one pieces. Can be brought back to a two-dimensional surface. Also look at the animation added to this picture.